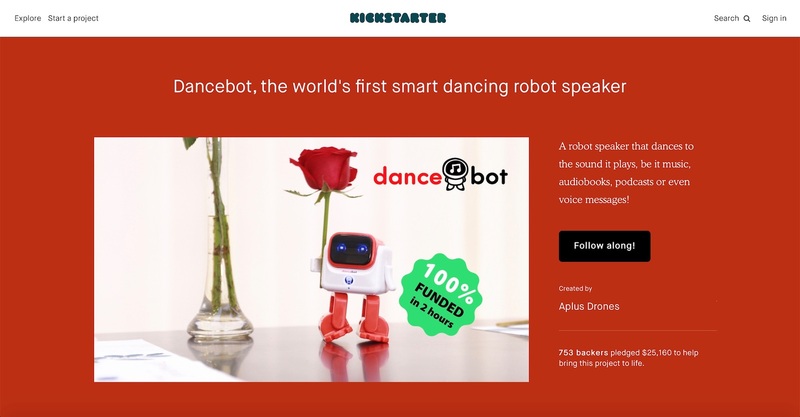 Dancebot, a smart dancing robot speaker. Dancebot is an innovative smart dancing robot speaker that uses an intelligent algorithm to move to the rhythm and tempo of the music it plays. We designed the brand identity, including the brand logo, visual style guide, marketing copy, packaging, and the web site. 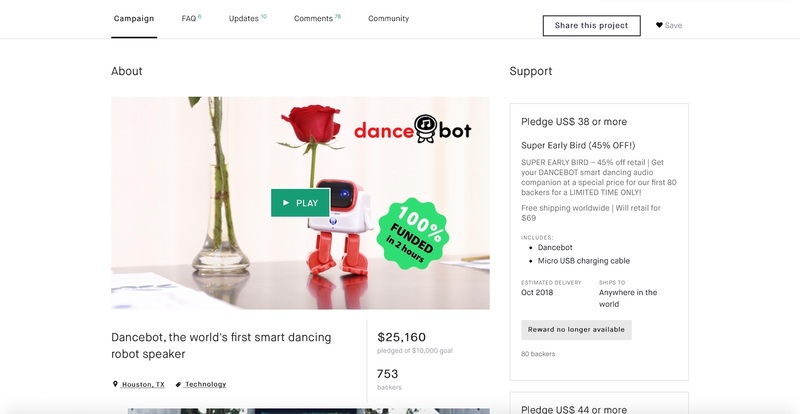 We planned and managed the Kickstarter campaign for Dancebot, raising USD 10,000 in just 2 hours after launch. We created all the content used by the project page, including the copywriting, photos, graphics and video. Besides content marketing, we handled the media and PR outreach, and the social media marketing.